Mmmmmm. Makes me hungry just to look at the photo! My banana bread recipe came from my grandmother. She was one amazing lady and an absolutely incredible cook. With her recipes in my recipe box, I feel invincible in the kitchen! When bananas get to this stage, it's time to make bread. Peel the bananas and mash with a fork (or let your food processor or blender mash them for you). If you don't have time to bake, throw the bananas (peels and all) into the freezer. When you're ready to use them, just thaw and smush the banana goop right out into your batter. You won't even need to mash them. 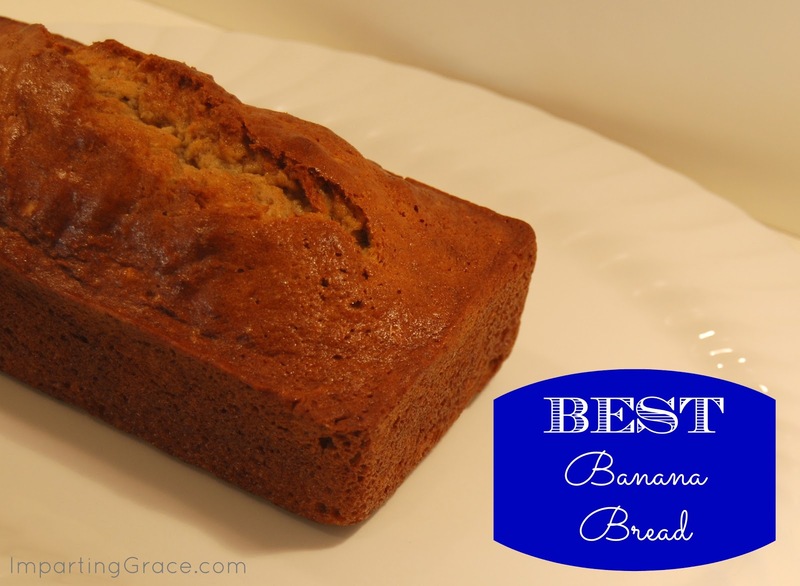 Here's my grandmother's unbeatable banana bread recipe. Preheat oven to 350 degrees. Spray loaf pans with nonstick cooking spray. Spread nuts onto a baking sheet. Toast in oven for a few minutes. (This brings out the flavor of the nuts and makes them especially yummy in the bread.) Chop nuts and set aside. Mix together oil, sugar, and salt. Add eggs, flour, baking soda, vanilla extract, mashed bananas. Mix thoroughly. Stir in nuts. Pour batter evenly into loaf pans. Set timer according to the size of your loaf pans--45 minutes for large pans, 40 minutes for medium pans, or 35 minutes for mini pans. After time has elapsed, test bread by inserting a toothpick into each loaf. Bread is done when toothpick comes out clean. There may be a crumb or two on a toothpick--that's fine. You just don't want any goop on the toothpick. If needed, continue baking in small increments, checking for doneness every couple of minutes. DO NOT overbake. When fully baked, remove from oven. Cool in pans for a few minutes, then remove from pans and cool on a wire rack. Makes one large, two medium, or four mini loaves. Recipe may be doubled. Bread freezes beautifully. I was blog hopping this morning but before I started I said I need to use up those rotten bananas!! My first visit and I saw your Grandma's banana recipe (that was about 8:45) it is now 9:45 and I have cut into the mini loaf and have to tell you IT IS DELICIOUS! Thanks for posting this yummy recipe (and easy too). I'm hopping in my car and driving to Durham right now. K? I don't have a good banana bread recipe. Thanks so much! Mmmmm…. Something different, thanks for sharing the recipe.